A roof is not only about the tiles. 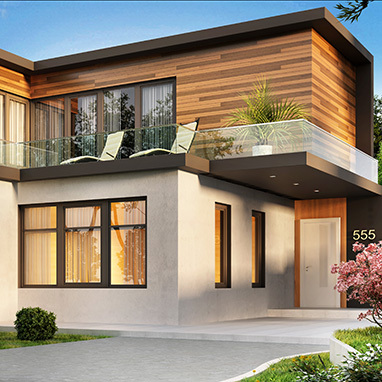 A modern roof provides protection against rain, snow, wind and heat on the one hand; on the other hand, however, it also fulfils today’s increased requirements on a comfortable home by offering new, integrated functions. Regardless of whether your roof is flat or pitched, KÖMMERLING adhesives and sealants help to make your house more energy-efficient and extend its lifetime. Ridge and arris rolls are used for sealing in the ridge area. The self-adhesive Treatment with KÖMMERLING butyl sealants facilitates mounting. The sealants’ excellent weather resistance and durability provides long-term protection against rain and snow intrusion. The vapour barrier reduces the entry of moisture from the interior of the building into the insulating film of the roof substructure. It is usually bonded across the whole surface of the roof substructure. Underlays prevent the loss of heat or cold and ensure that a roof is impermeable to wind. To achieve this, the sheets are bonded with each other and are sealed with the counter batten. Roof connections seal the junctions between roof and wall as well as between roof and chimney. In these applications, KÖMMERLING adhesives and sealants also provide protection against water, heat and wind. 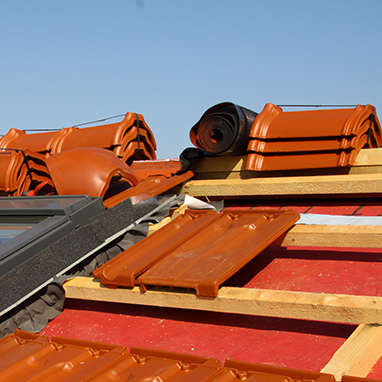 Their extraordinary UV and weather resistance contributes to the longevity of the roof. On a wider scale, KÖMMERLING adhesives are also used for economic laying of roofing membranes EPDM based. Our specially developed adhesives for EPDM can be applied to many substrates, on each roof structure and provide a durable waterproof roof.